R.I.P. Private First Class Harold Christ Agerholm, USMCR January 29, 1925 – July 7, 1944. 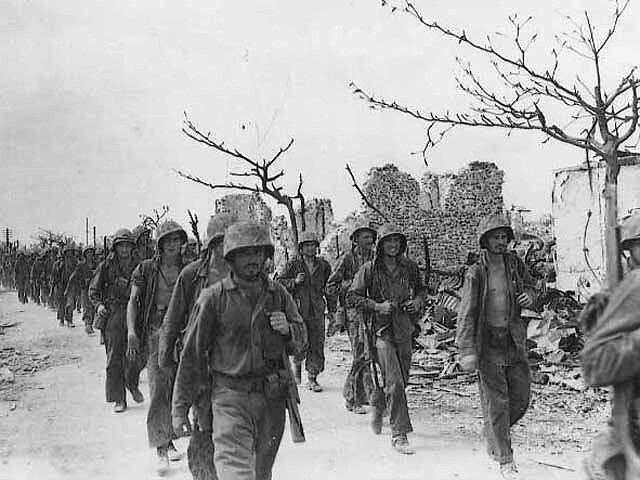 As the Battle of Saipan approached its end, a heavy cloud of defeat loomed over the Japanese forces. Casualties were rapidly mounting across the island as the Allied onslaught raged on. The Japanese fought a losing battle, in the midst of attacks and reprisals, until there was almost nowhere they could retreat to. 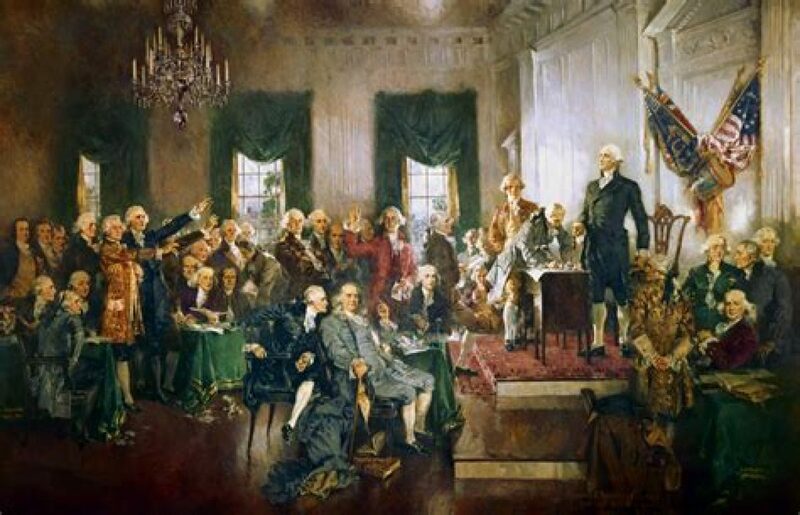 Nevertheless, they were determined to defend their island at all costs. They launched a furious reprisal, fielding banzai charges alongside heavy rifle and mortar fire. 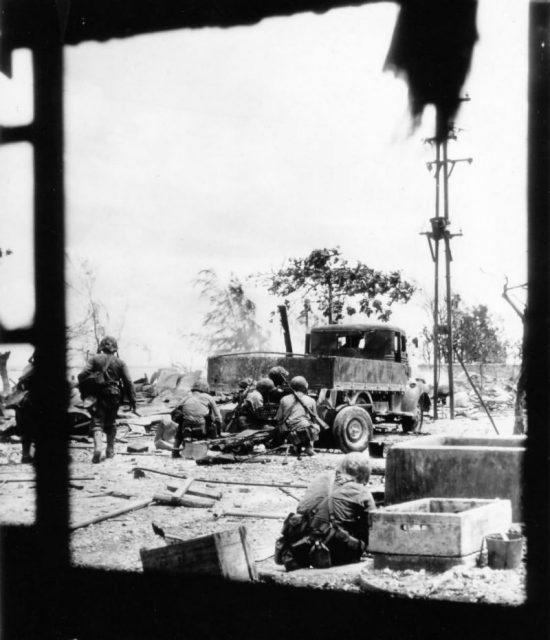 The Battle of Saipan, June 1944. 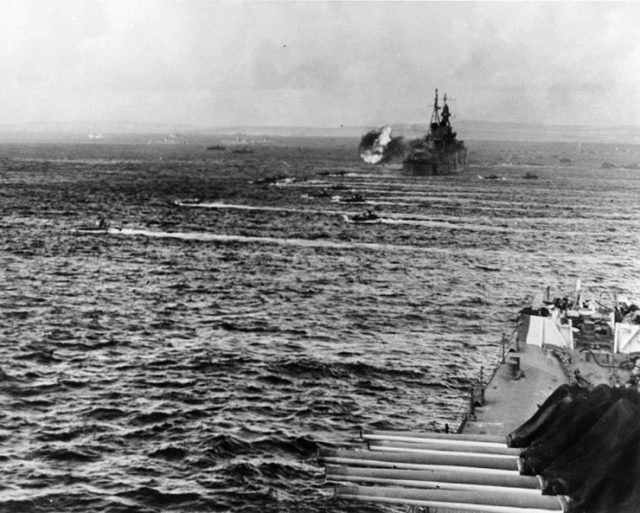 The ship in the foreground is the USSBirmingham (CL-62); the cruiser firing in the distance is the USS Indianapolis(CA-35). With a group of men holding up a giant red flag in the front row and a crowd of suicidal Japanese patriots following behind, a deadly counterattack ensued. The Japanese fighters came, rushing over American lines like a storm. They struck units from both the Army and Marine Corps, causing heavy casualties. 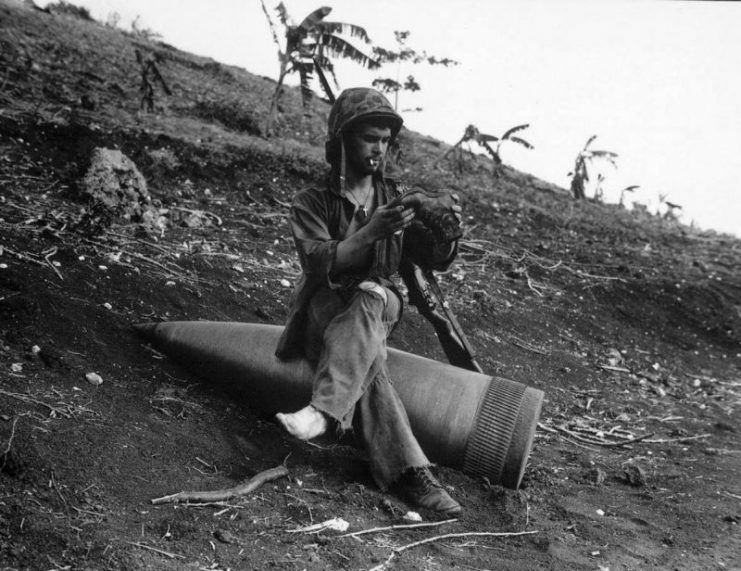 A U.S. Marine sits on an unexploded shell of a 16″/50 caliber Mark 2 gun to inspect a hole in the sole of his boot during the Battle of Saipan. Men of the 1st Battalion as well as troops from the 2nd Battalion of the 105th Infantry Regiment suffered. The pressure ripped them apart as the Japanese onslaught came upon them. Then Private First Class Harold C. Agerholm came into the picture. 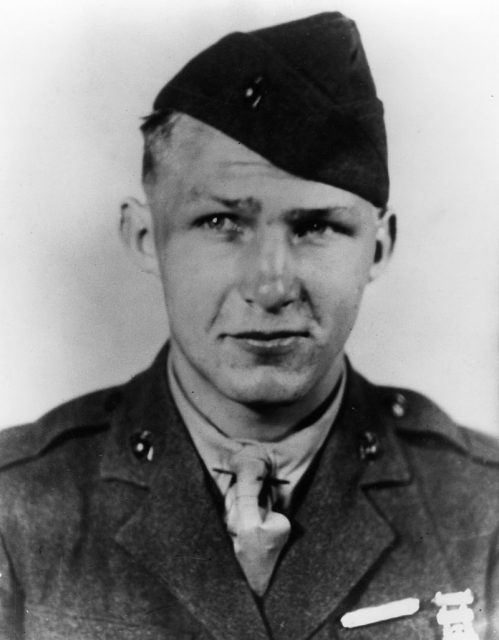 Born in Racine, Wisconsin, on the 29th of January 1925, Agerholm became a part of the U.S. Marine Corps Reserve at the age of 17 after working for five months at Racine Industries Inc.
After his training at the Marine Corps Recruit Depot in San Diego, Agerholm was assigned to the 4th battalion of the 10th Marines Regiment within the 2nd Marine Division. 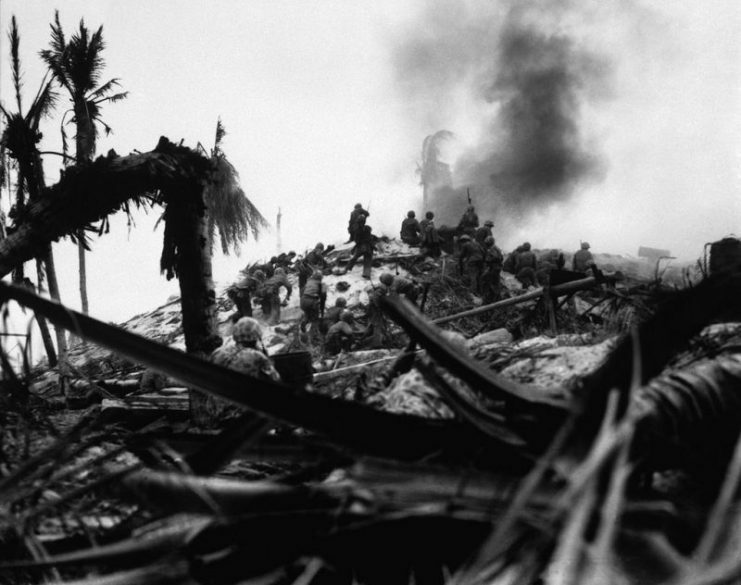 By 1943, now a Private First Class, Agerholm experienced his first battle in the Battle of Tarawa. 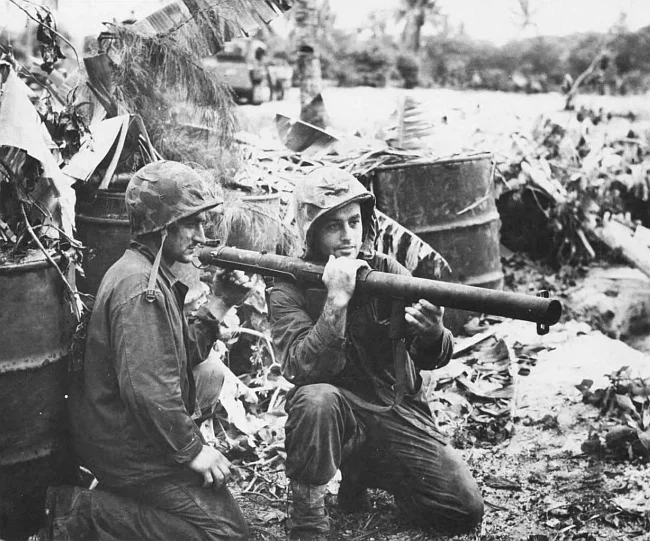 As the hostilities at Tarawa ceased, preparations for the invasion of Saipan promptly began. On the 10th of June 1944, just three days after the magnificent D-Day invasion, Algerholm arrived in Saipan. A Marine of the 4th Battalion, 10th Marine Regiment, he witnessed his comrades from the 105th Infantry Regiment getting overrun by the Japanese. Algerholm quickly volunteered to join the efforts in forcing back the onslaught and evacuating casualties. He hopped into an abandoned ambulance Jeep and drove towards the enemy. With explosions and enemy fire all around him, Algerholm searched for and rescued the wounded. His persistent presence on the battleground drew the enemy’s attention. But the intense pressure of enemy fire did not deter him from saving his wounded comrades. For more than three gruesome hours, Algerholm found himself making repeated trips through the hostilities. He must have felt more than a touch of fear as bullets bounced off the metal frames of the ambulance jeep. But his dedication to saving fellow G.I.s overshadowed his doubts, and his bravery shone through. 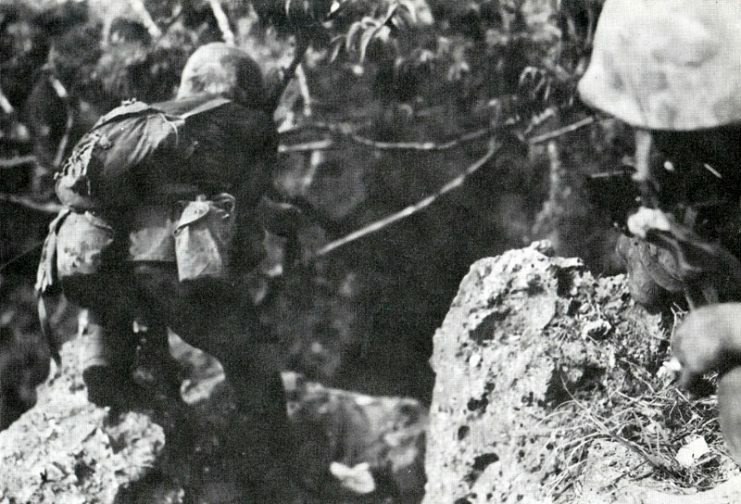 Marines battle their way through Garapan, Saipan, 1944. Tragically, when Algerholm tried rescuing two other wounded comrades, a Japanese sniper’s fire caught him. He fell, mortally wounded. By the time of his death, Algerholm had single-handedly rescued about 45 injured men of the U.S. Army and Marine Units. Indeed, he served his country with the rawest form of dedication. He disregarded his own safety, racing into enemy fire like a child running into the rain. Nothing else mattered to Agerholm, except those men struck by the rage of the Japanese, who lay helpless and exposed to danger. According to the citation from his Medal of Honor award, his heroic actions reflected the highest credit not just upon himself, but also upon the U.S. Naval Service. 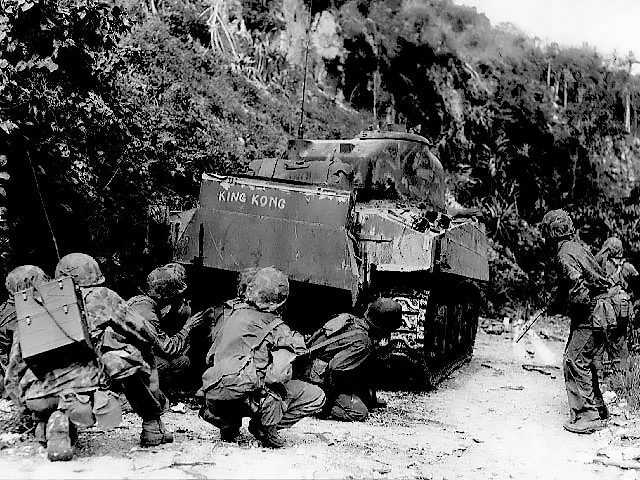 The Battle of Saipan resulted in one of the costliest victories for the Allies on the Pacific theater, with about 10,000 American wounded and approximately 3,000 American deaths. The Japanese lost more, with 29,000 deaths of which 5,000 were suicides. Marines march through Garapan, July 6, 1944. On the 25th of June 1945, the United States honored him with a posthumous decoration of the Medal of Honor. The Medal of Honor was received by his mother who requested privacy, asking that no ceremony be conducted for the awards presentation. As a result, instead of the U.S. President, the Commandant of the Ninth Naval District delivered Agerholm’s Medal of Honor. 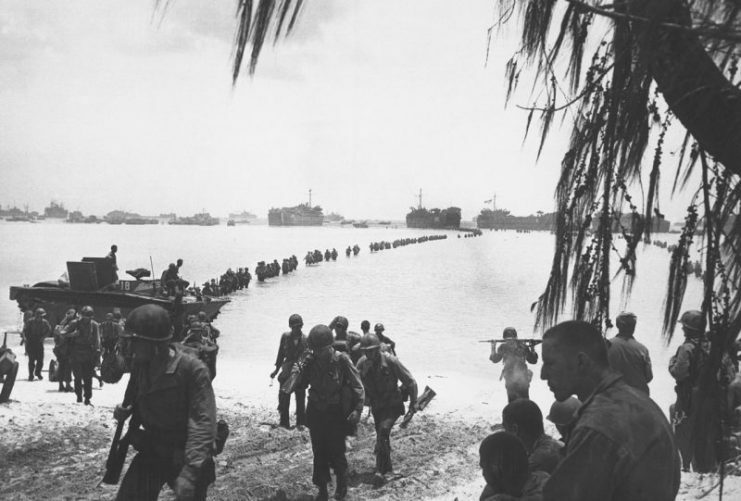 Army reinforcements disembarking from LST’s form a graceful curve as they proceed across coral reef toward the beach, Saipan. Apart from the Medal of Honor, Agerholm also received other decorations such as the Purple Heart, the Asiatic-Pacific Campaign Medal, the Presidential Unit Citation, and the World War II Victory Medal. His original burial place was located in the 2nd Marine Division Cemetery on the island of Saipan. However, PFC Agerholm’s grave is now in Mound Cemetery, Racine, after his remains were transferred to his hometown in 1947. The USS Agerholm (DD-826) on May 11, 1962. In his honor, a destroyer from the Gearing class was commissioned in June 1946. 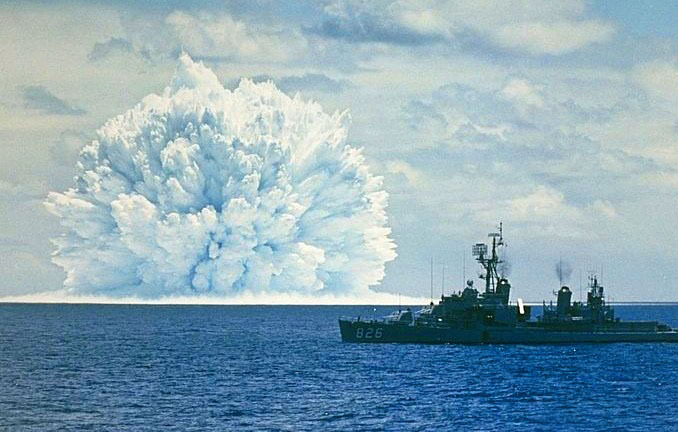 The destroyer was named the USS Agerholm. It served in the Korean War, running screening as well as plane guard duties, and afterward participated in the Vietnam War. The Harold C. Agerholm Memorial Gun Park, named after the hero from Wisconsin, is located in North Carolina, close to Camp Lejeune, headquarters of the 10th Marine Regiment. At the time of his death on the 7th of July, 1944, Harold Christ Agerholm was only 19 years old.